I’ve started transferring my projects handouts to the Ourduino project at Google code. My aim is to transfer five or maybe six projects by Christmas. Most of the content is documentation, the code is pretty simple. The projects won’t be finished in a convenient sequence because some of the content is shared, and the construction of some shared parts is quite time consuming. For example re-shooting some of the pictures will be a while because I don’t have a good set up for macro photography (though the discount Canon A470 is much better than my old camera, so I hope the results will be good). As well as the projects themselves, there are a lot of contextual pages to set up , covering electronic parts, suppliers and bits of theory. One of my collegues at fizzPop, the Birmingham (UK) Hackspace, asked me what value resistor to use for an LED in electronic projects. That’s a great question. I thought I should try to make sure that is answered because folks ask it all the time. 1K ohm or bigger will be fine for 12 Volt supplies (I sometimes use a 12 Volt ‘Wall Wart’ to power my Arduino). LED torch, using a 330 ohm resistor. All of these are quite conservative, and the resistor could safely be smaller. One nice feature is these resistor values allow pretty near the same current through the LED, so they should all look about the same brightness next to each other. 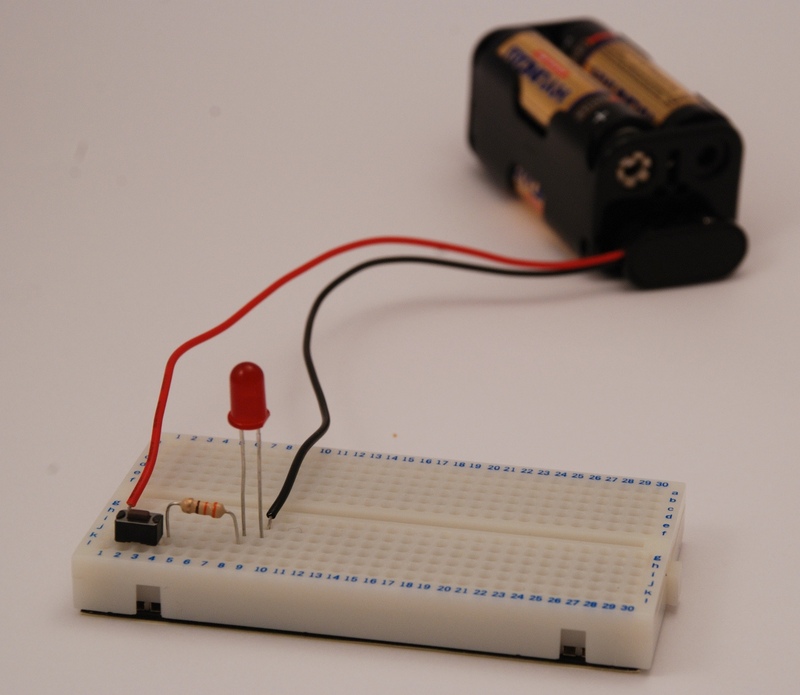 If you’re making an LED torch, but with a 6 Volt battery, 330 ohm’s will be fine. I’m off to Manchester Science Week Robot Festival this weekend. I’ll be with Stewart Dunn who’ll be showing the Kre8 construction system. 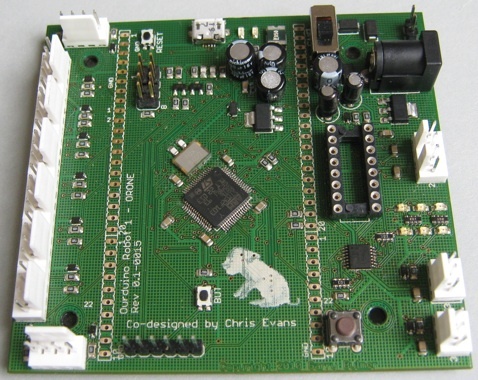 I’ll be demonstrating the Arduino-based SenseBoard and Scratch to folks. I hope to get the opportunity to help young people learn a bit about Arduino’s, programming and electronics. I hope to see you there.